"It's his duty to save his men." Magnolia Pictures has debuted the official US trailer for their release of the film A War, written & directed by Tobias Lindholm. The film was one of the five nominated for Best Foreign Language Film in this year's Oscars. The story involves a Danish man who goes off to fight in "a war" in the Middle East, and returns home after being charged with bombing and killing civilians. The cast includes Pilou Asbæk, Tuva Novotny, Dar Salim and Søren Malling. It seems that this film examines a very complex situation, where a soldier had to make a very tough decision under fire and the consequences may follow him all the way home. From this trailer you should get an idea for why this earned the nominated. Company commander Claus M. Pedersen (Pilou Asbæk) and his men are stationed in an Afghan province. 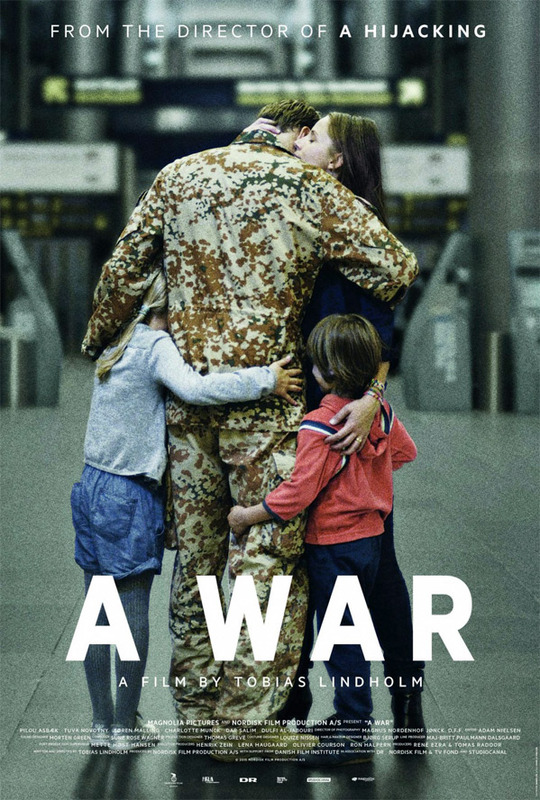 Meanwhile, back in Denmark, Claus' wife Maria (Tuva Novotny) is trying to hold everyday life together with a husband at war and three children missing their father. During a routine mission, the soldiers are caught in heavy crossfire and in order to save his men, Claus makes a decision that has grave consequences for him—and his family back home. A War is both written & directed by Danish filmmaker Tobias Lindholm, of the films A Hijacking and R previously. This film just picked up an Academy Award nomination. Magnolia Pictures will release Lindholm's A War in select theaters starting February 12th. Must be mad being at war in a country where you can't speak the language. In the past blowing up 11 civilians would be written off, probably not even mentioned, it's such a strange messy situation in the Middle East and I'm sure it will be long after everyone who comments here is dust. Might check this if I'm feeling really happy and want to bring my mood down a bit. Very sad that other countries got pulled into our war. While this looks great, I just don't think it can best SON OF SAUL.